Bajaj Auto, Country’s popular 2-wheeler manufacturer has officially announced that it will be introducing new range of Discover motorcycles on 10th of this month (January 2018). Bajaj Auto, the only mass 2 wheeler manufacturer which is not “distracted” from the recent scooter evolution is actively adding new motorcycles to its portfolio from last decade. Some of the successful and popular Bajaj motorcycles include models like “Pulsar”, “CT100”, “Dominar” and V-Series. Bajaj’s portfolio spreads across different segments – from 100cc commuter motorcycle to higher engine cc motorcycles like Dominar and Pulsar RS 200. 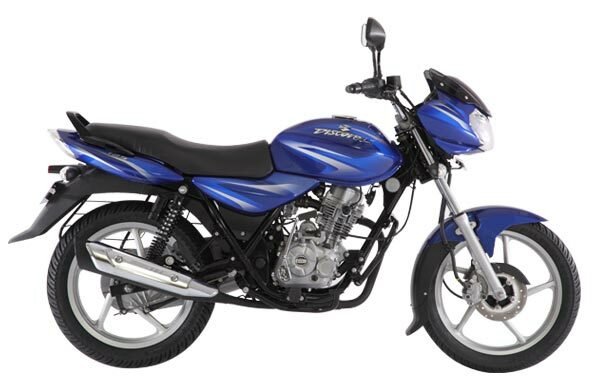 The recent reports on Bajaj Discover 110 and Discover 125 getting spotted in Mumbai connects the Bajaj’s official announcement. Bajaj will be formally announcing the Bajaj Discover range of Motorcycles on 10th January 2018 at 11pm in the presence of Mr. Eric Vas, President (Motorcycle Business) and Mr. Sumeet Narang, Vice President (Marketing). The Launch event is scheduled to happen in Lower Parel, Mumbai and the official media invitation reads the tagline: “The Launch of the All New Discovers” and “The Showcase of the 2018 Range of Discovers”. We will have to wait and watch about new features, model specific improvements in Bajaj’s 2018 range of motorcycle models. Stay tuned with us for more updates on this development.